Whenever my parents come to visit us, they hope we have a project or two waiting. My dad especially loves to go around the house and find things that need fixing, and has always managed to discover things we didn't even know were wrong in the first place, or (more often) things that we haven't the time or expertise to fix. Remember, I married a musician, and while he can be fairly handy, he isn't handy like my dad is. And then there is my mom. She is one of those people who is always moving and cleaning and doing. So she likes us to have a project ready simply because she loves doing it. Plus, she'll always find a project or two on top of the ones we've already planned. So, for their first visit out to Michigan last week, we complied. 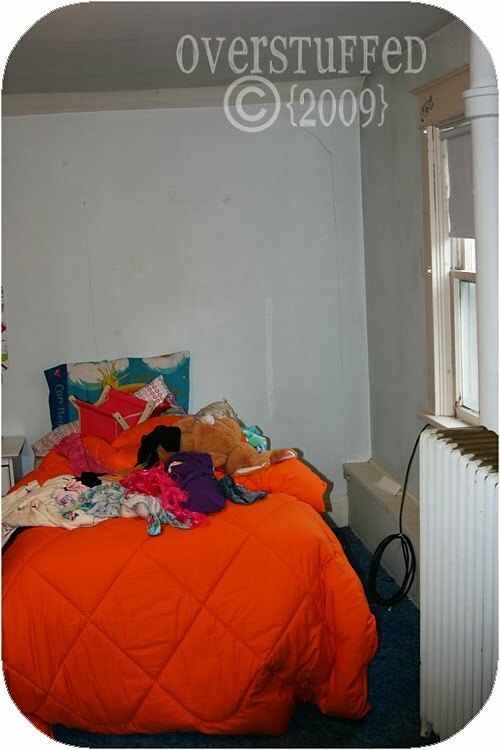 Bria's and Chloe's room was in dire need of a makeover. I'm fairly sure that the last time anyone gave it any sort of TLC was sometime in 1978, so not only was it outdated, it was dirty and gross and in general disrepair. Worst room in the house, I'd venture to say. I almost forgot to take before pictures, so be thankful for the four I managed to get after we had already taken half of the furniture out of the room. Remember, our house was built in 1920, so it's almost 100 years old, and this room was certainly showing its age. 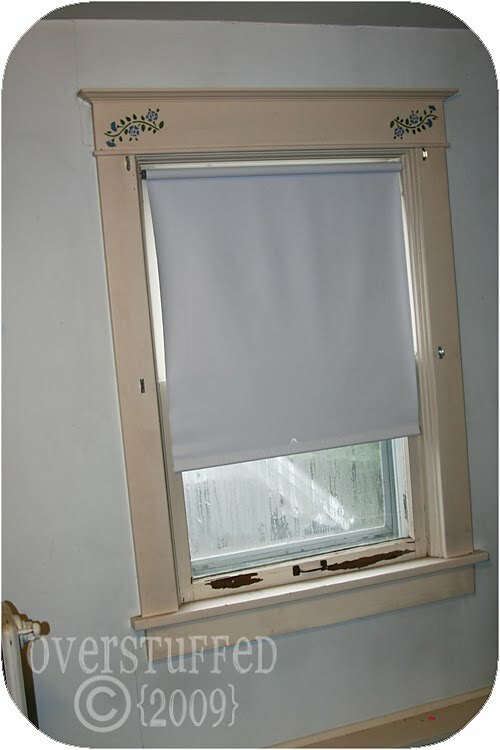 The room has two of these windows. The trim was painted kind of a weird beige color with these 80's era stencils on them. The paint was peeling and cracking quite badly on the inside part of the window, and they had these cheap paper shade things on them that only worked 24% of the time. Here is Chloe's side of the room. You can see that there is that cable cord coming through the window, which bothered me greatly. You can also see how the plaster is cracked in several places, and the walls are very dirty. I didn't even bother to try to clean them, because the paint was that powdery-feeling stuff that just comes off and doesn't help the walls to look any cleaner. The paint is a steel blue color, that to me just looked filthy instead of being any sort of color. But it was probably just because it was so old. Here is the door. And my mom and Sophia. Just another view where you can tell how icky the walls were. I don't know if any of these pictures shows the carpet really well, but it was a royal blue shag. It had holes and it was just generally gross. We looked to see if there were hardwood floors underneath, and there were. But someone had painted them gray. Weird. 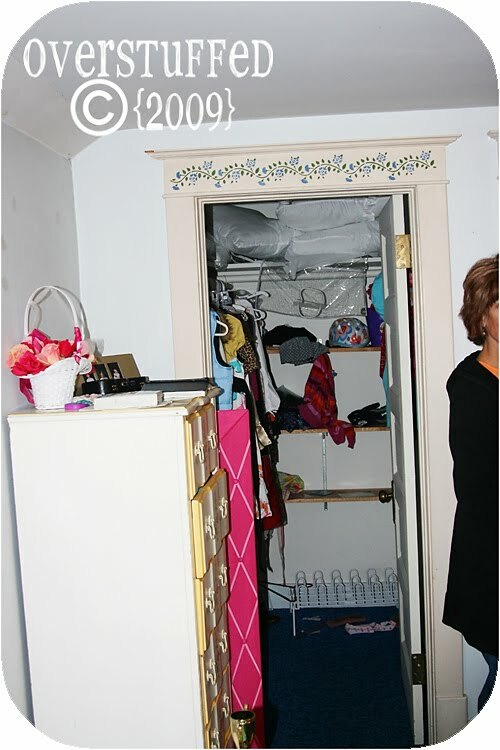 Here is a view into their closet, which is right next to the door to the hallway. The shelving in there was just raw wood. That cute pink mirror that's leaning against the dresser? I bought it for when the room was finished. Unfortunately, it broke. So not only do I have seven years of bad luck, I'm without a cute mirror for the room, which is unlucky enough. I am going to try to break the glass out of it with a hammer (while wearing some very thick gloves) and maybe make it into a bulletin board. If I can't salvage it, I'll just have to be happy that I got it for 80% off on clearance. Okay! Are you ready for the big reveal? Huh? Huh? This is Chloe's side of the room again. The color we went with is called Gecko Green, but it has a lot of yellow in it, and I prefer to say it's Apple Green. When I got the first wall painted I wasn't sure how I'd feel about the entire room being that color, but I am loving it! Chloe chose the Princess hanger thing when we were down in Green Bay for Stake Conference and we ran into Hobby Lobby 5 minutes before they closed and literally ran through the store throwing things into our cart. You can see that the cracks have been filled by my dad, and you can only tell they were ever there if you look really, really closely. Here is another view of Chloe's side of the room. (Yes, I took these pictures just before bedtime last night. 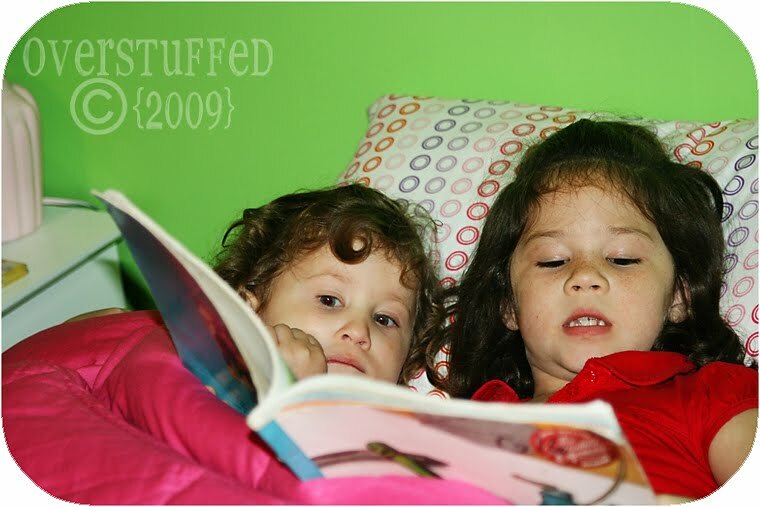 Chloe is reading a story to Sophia in her bed. How cute is that?) We've had that dresser for a while, I purchased it at a garage sale and have always intended to refinish it. That is on my project list, and it will be white when I'm finished with it. The lamp on her nightstand I got from GoodWill and spray painted pink. Bria has a matching one which I painted blue. I have shades for them, but haven't gotten around to buying the fabric I need to cover them. Another thing on the old to-do list. And just look at that carpet!!! I got it on an awesome sale from the furniture company in town, and I love it. You can't see it very well in the picture, but it's not Berber. It's kind of shaggy, but nice. If you know what I mean. Just a close-up of the cuties. Now we move over to Bria's side of the bedroom. She doesn't like pink much, so her bedspread is identical to Chloe's, but blue. 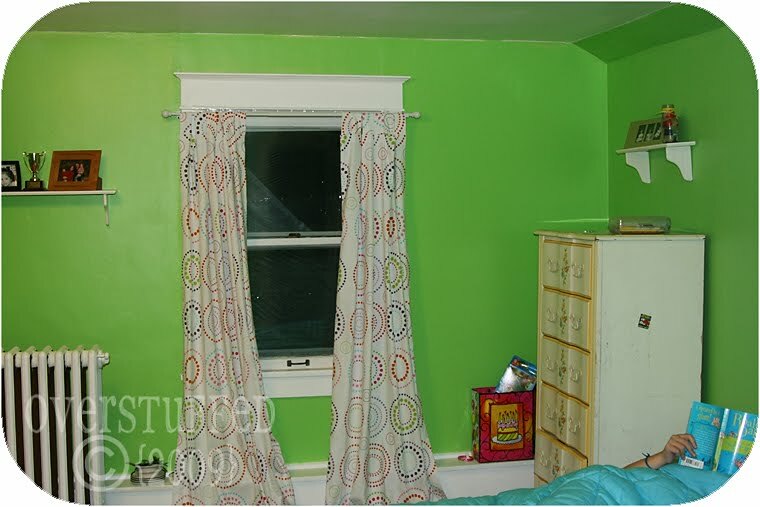 The curtains are fun and bring both colors as well as the green into them, so they were perfect. I threw the icky shades out. The windows took quite a bit of work to paint. We had to unscrew some molding and take them all the way out of the frame and then paint them. It was rainy the whole time we were working on this room (it took around 4 days to do everything from start to finish), so that made it kind of a cold project! I was just glad we were replacing the carpet so we didn't have to worry about protecting it and just painted right on it. I still need to get some sort of ties for the curtains, I don't like them just like that, but they're still a major improvement. Also, just putting up a few stray pictures, I am planning on painting the frames or getting new ones entirely, and finding a few more things to add to the blank walls. If only I were made of money, right? More of Bria's side of the room. Nothing in particular to say about it, except it used to be really dirty and cracked, too. Just like Chloe's side. And the book she's reading totally matches her surroundings. Here is a look into the closet. Not only is it much more organized now (previously I had just thrown things onto the shelves because they didn't have a home yet), but it's so much cuter. No more stencils on the door frame. No more blue carpet. And we even painted the shelves white. The only thing I don't like about this closet is that the door opens the wrong way, but my dad couldn't fix it without some major upheaval. So we will just never close the door I guess. The hooks on the wall next to the closet are the ones that Bria chose at Hobby Lobby in Green Bay. So Bria. Just another angle here. And a view of the hallway that will need to be painted, too. There you have it! This room went from being the most awful room in the house to the one everybody wants to spend time in. It's amazing what new paint and new carpet can do, isn't it? And I can't wait to do Sophie's room next. It looks wonderful!!!! You guys are a great team--I am very impressed! Amazing~ I love the green. I am always nervous about painting bright colors, but I always love it when people actually do. That room looks so happy and alive! And let's be honest, the BFG is one of the best kids books ever. So she has great taste too. I'm impressed! 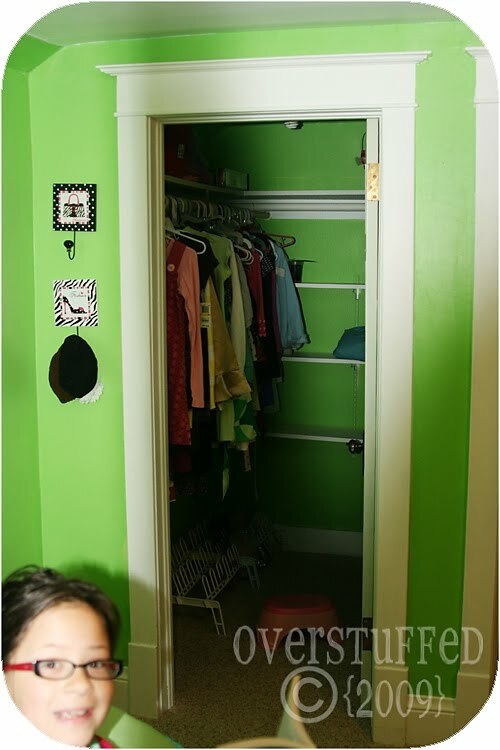 What a fun, perfect girls' room. You are so creative. WOW the room looks so pretty! I love the white and apple green! The girls curtains are really pretty as well! Umm I want to look like your MOM! She looks so good! WOW! 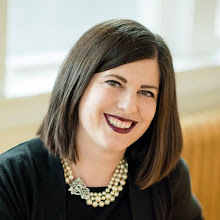 You need to do a photo shoot of your beautiful Mother! Sooo cute! Did you guys buy a four-square? The room layout looks quite familiar. We had a 1898 Foursquare in Iowa. I had a total love/hate relationship with that house. Wow! It is a night and day difference! Looks great! Love the bright green- it looks so cheery! Well done! Can't wait to see what else you do in the house! Wow! It looks so fresh and modern! 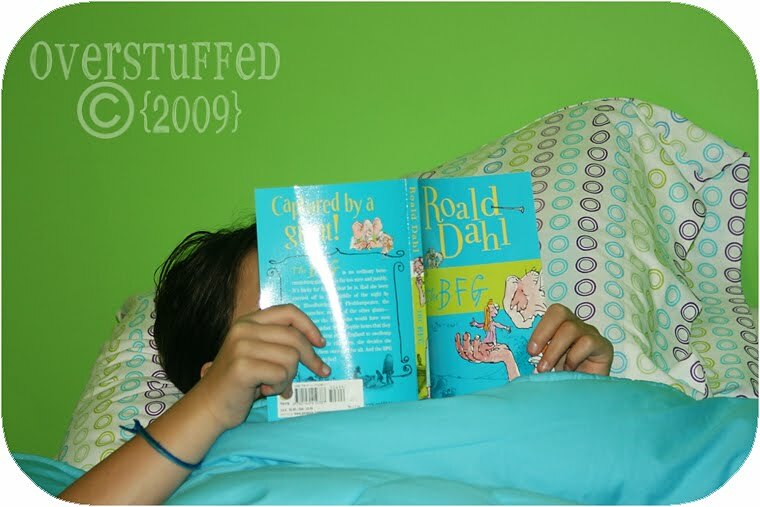 Oh my goodness, look at the picture of Bria reading her book, it matches! That room was truly a transformation, and it WAS FUN doing it! Take another picture when you get the lamp shades and the dresser done! Love it!! I love apple green. So cute, and how great a memory for the girls to have made with their Grandma and Grandpa. 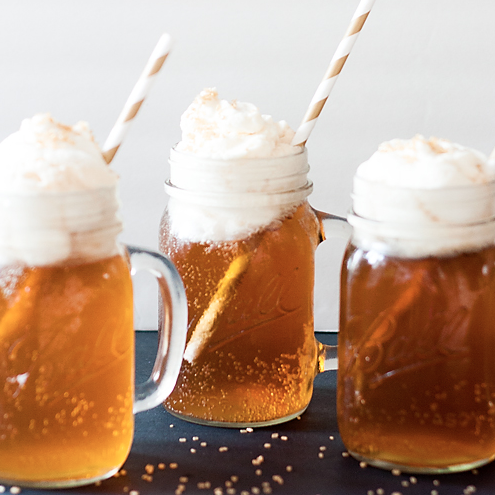 Great purchases to make in 5 min. I think I would panic and not know what to get. Great job. Sigh. I'm overwhelmed just looking at it. What wonderful parents to help you so much!!! I'm totally impressed. When is your mom coming to my house? I could use some help down here! I think it's sooo fun to redo rooms. I get really stressed at picking colors, but when it's done, I find myself walking into the room again and again just to feel so wonderful with what I've done. 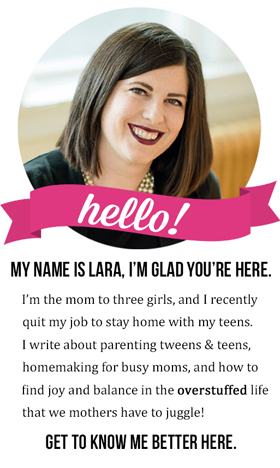 Awesome Job Lara! 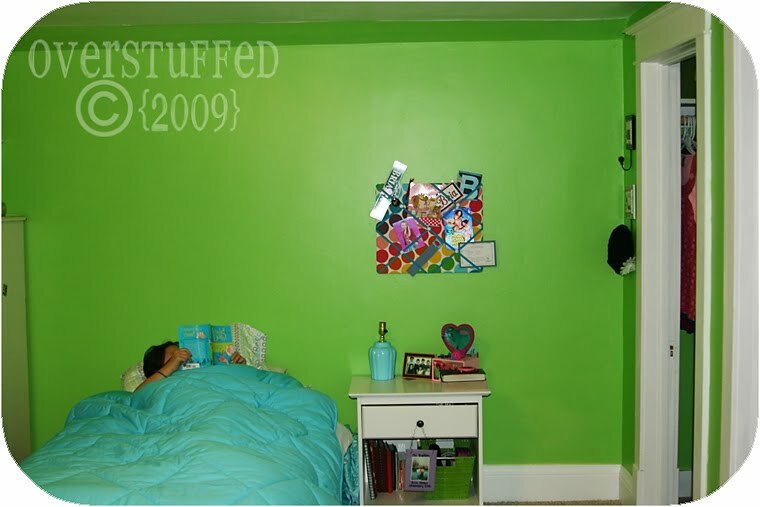 That's the exact color I want to paint Elodie's room-one day-Love the way it turned out! Lara! That look so darling-I love it! The gecko green is beautiful. I'm sure the girls are in heaven. It looks fantastic! I love re-doing rooms and I can't wait to live through you. Sophia's room is sure to impress. And your mom is so cute! Looks great! I would LOVE to have moulding like that!! I love the curtains especially! Dang girl! You're talented! That room looks GORGEOUS. And in 4 days? WOW. I need to take lessons from you. I love it! Wow, what a lot of work. It looks like your kids are really happy with it too. So fun! It looks great! Very cute!! I love it. You bought a 100 year old house! Oh, sweet! The molding in that room is to die for! you did an awesome job--love it! Awesome. The red and green make me think of Korean hanboks. They like to put those two colors together. I couldn't take my eyes off all the moulding ... it's gorgeous ... you all did a great job! What a happy, cheery, delightful room! 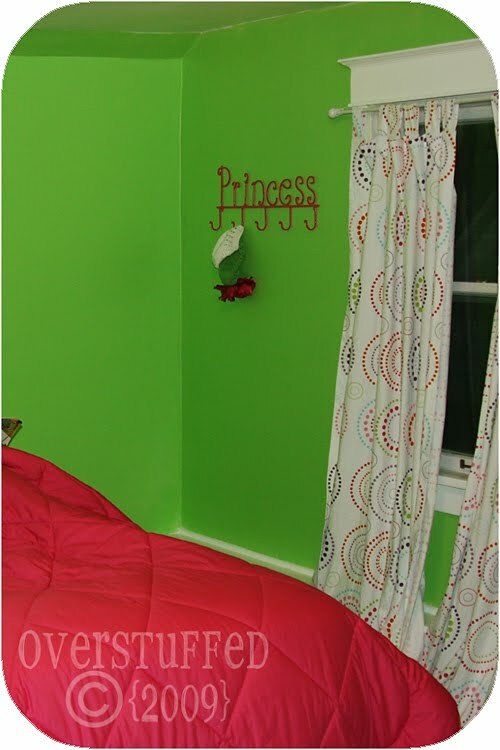 That green brightens everything up and the curtains are sooo cute. Nice work!! I am very very impressed! It looks fabulous. I wasn't sure about the green, but I really do like it. Great job! WOW, what a transformation! Great choices, all around—and I am such a sucker for colored walls and white trim! Yummy! Your house is one year older than ours, so we've got a lot of details in common, I think. You're giving me all kinds of ideas...too bad we're renting right now! Your mom sounds like my MIL! What a godsend! 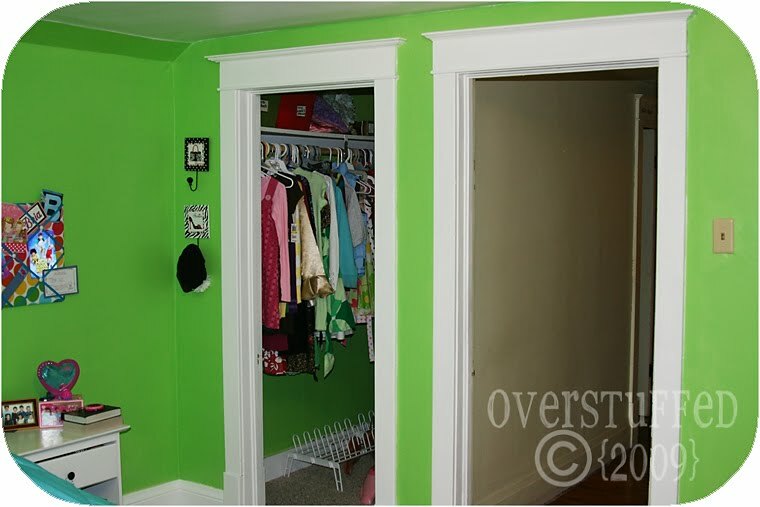 And my daughter has one wall (plus the closet) in that exact shade of green. We all love it. Seriously, the cutest room in the house. I wouldn't be surprised if she grows up to be an interior designer. Love the color! I am such a fan of paint that makes a statement. And our dads must be twins separated at birth. He comes out and walks around with a wrench. He fixes creaky doors, drawers that get stuck. My husband loves it because he is the exact opposite! You did a great job. I love the colors, so bright and cheery and I like how they coordinate, but aren't matchy, matchy. It shows each girls likes perfectly. Lara it looks great! I love the decorative moulding in older homes. They just do not put that much attention to newer homes. It is expensive to add yourself. My girls would love all those bright colors. Lara, it makes me SOOO happy to see you being able to put your mark on your own home--what a beautiful home, and what a beautiful room. I'm so happy for you! Great room. I love color. At least 3 people already gave the closet door advice I had in mind. So I won't give it. i love the heckuva lot of picture posts!